A spokeswoman for Hawley’s campaign, Kelli Ford, said that Hawley’s use of “a single engine propeller plane” for the travel to and from West Virginia is unrelated to his rebuke of McCaskill’s use of her family-owned plane. “Josh’s criticism of Senator McCaskill’s use of her personal plane is threefold: 1) she secretly flew when she said she was on an RV, 2) she claims ‘normal’ middle class people own private planes, 3) she won’t release her family tax returns so voters can understand how she can afford to own a plane,” Ford said in an email. But McCaskill campaign spokeswoman Meira Bernstein said that Hawley’s own plane ride shows his insincerity. “As if Missourians needed more evidence that Hawley is beholden to his billionaire backers. There’s no hypocritical level to which Hawley won’t stoop,” she said. The private plane used by McCaskill and owned by her husband, Joseph Shepard, is the same model that Hawley used in September, a Pilatus PC-12/47, according to reports dating back to his purchase of the aircraft in 2013. In 2011, facing a controversy that threatened her reelection, McCaskill reimbursed the Treasury Department for more than $88,000 in charter air flights in 2011 and repaid nearly $300,000 in back taxes on an older plane she later sold. Afterward, McCaskill vowed to pay personally for any travel she took on the new plane bought by Shepard’s company. 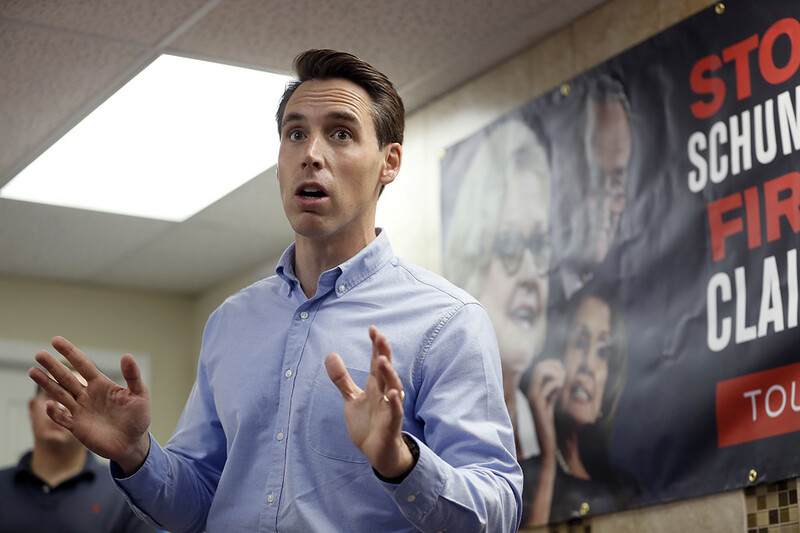 Even as he took aim at her use of the private plane, Hawley has said he would be fine with the trips if McCaskill would just “own it.” He also has challenged her to stop using the plane for a month as the two duke it out in one of the midterm’s most hotly contested Senate races.